Ahsoka and Kanan perhaps? Are they pilots/crew again? There's a Kanan crew and Pilot card. There's also a Maul crew card. 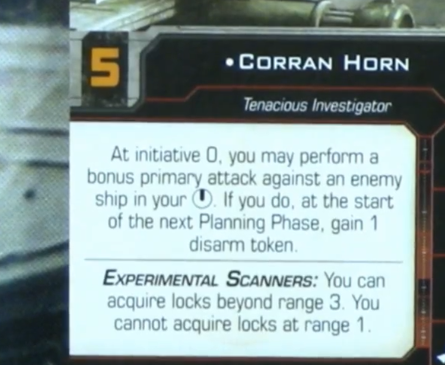 Kyle Katarn and Corran Horn will presumably have force points. I don't think I saw Kyle's card on the unboxing stream though. Oh hmm, "Tenacious Investigator" would imply early in his career (although I thought he piloted an E-wing, which is much later in the timeline? ), so no force makes sense there. Maybe they'll release a "Jedi Master" version at some point, and that one will have force points. Neither Kyle's nor Corran's cards have force points. Also just saw this from Facebook but unsure of authenticity. Seems like every ship got more maneuverable, and more of the slow ships got Red 0's which is cool. 1 point more than Rookie Pilot, but with an EPT and PS1. It's a little disappointing, but not really surprising. Ahaha. Scum do get a 2.0 Wave 1 expansion. He was if you round down. What's more, Lando always had an exit strategy, and this version of the Millennium Falcon also includes the escape craft featured in the film. 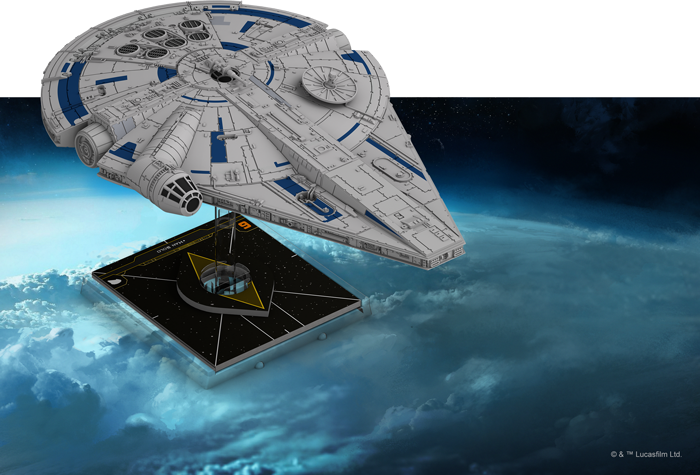 This craft docks snugly in the larger miniature, even as it makes Lando's Millennium Falcon more versatile with the ability to launch this escape craft, which can operate independently from the larger ship. Scum gets another docking ship! And it physically docks?! I now want to see two Falcons fighting. Two VCX's fighting the Scum Falcon and Houndstooth fighting the Imperial Assault Carrier. Gozanti wins handily with a bomber drop. It might, but I don't think I'd hold my breath. It seems like if that was a thing it the ship did, it would have been highlighted in the preview article or at least pictured instead of just being mentioned in passing. At the very least it seems like they'd package them undocked to highlight that you're getting two ships (like they did with the Ghost). 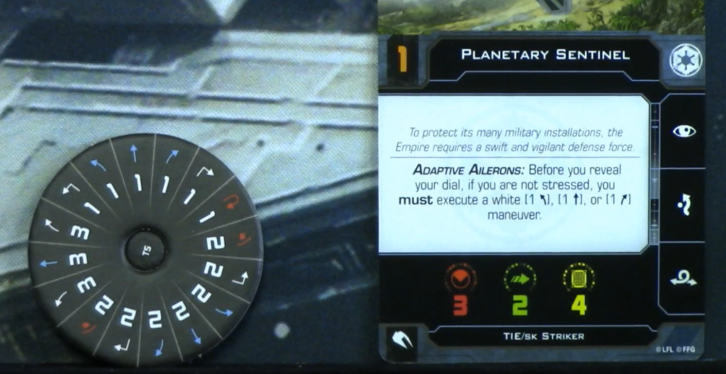 On the other hand, that L3 pilot card looks like it's for the escape pod rather than the whole ship, so maybe? They mention the escape ship fits snugly into the falcon model. 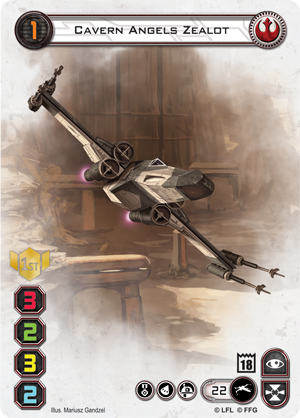 The preview for L3-37s ship card only shows the escape pod. Definitely two ships. 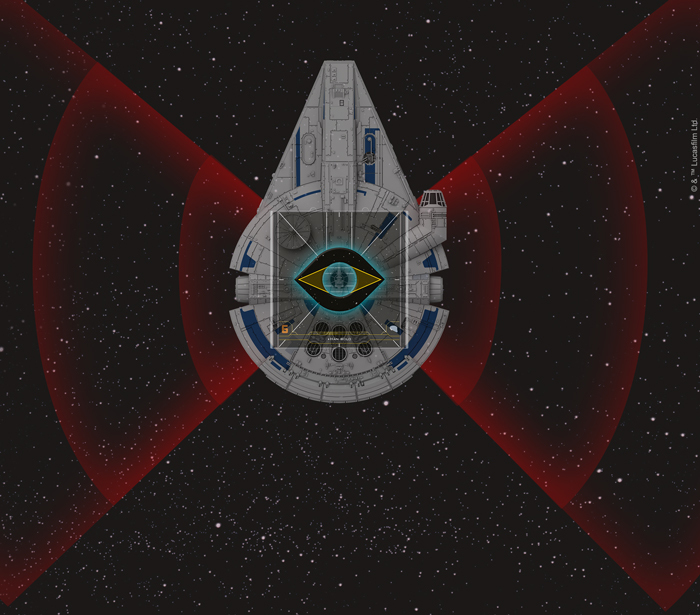 Hopefully the peg stand on the escape pod won't be too obvious. I suspect that if they were to do the vcx today they would try to figure out a way to get the wings to pivot and hide, allowing it to dock as well. Cool enough. It just seems that would be a thing they'd highlight and photograph rather than just a passing mention. I could be (and probably am) wrong. Might be they've got a Lando's Falcon reveal Part II waiting with all the photographic evidence I could want. I'll wait and see. This is what I get for skimming the article at work rather than waiting until I got home. I somehow skipped this entire bit. I did the same thing at first! i didn't know her name ended in 37, that's... ah. I think the word you're looking for is "wonderful"
Blue banks while you're shieldless sounds really fun. Can just zip all over the place in that thing. what's the 2.0 action that looks like a pointy wave? Probably the Jam action, which was only on huge ships before. It added stress in 1.0. Probably does the same in 2.0? No. Jam action jams for normal ships in 1.0 (Reaper). "Even more unusual is the Reaper’s ability to take the jam action. 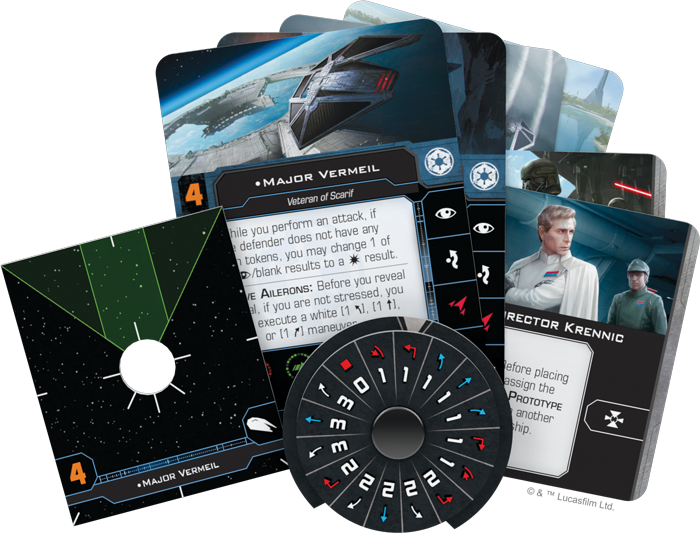 Not only does becoming jammed force an enemy ship to remove one of its focus, evade, or blue target lock tokens, the pilots included in the TIE Reaper Expansion Pack take full advantage of this ability." There's gonna be a lot less stress control in 2.0. I imagine the jam action won't change too much from how it is with the Reaper. 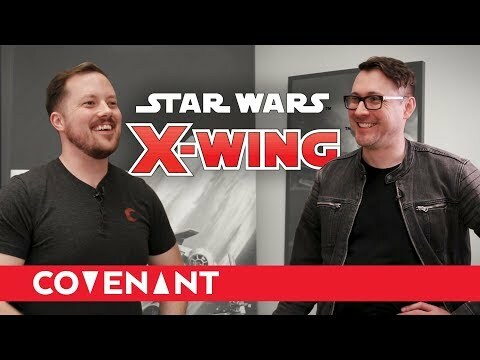 Don't know if anyone else has watched this, but it's a 45ish-minute interview with Alex Davy, the main designer (or, at least, the main face of the designers!) for 2.0, where they go into a discussion of all of the changes coming in 2.0 and, more importantly, the rationale for all of those changes. Posted yesterday, it looks like. Honestly, it's fantastic. He's basically speaking my language. 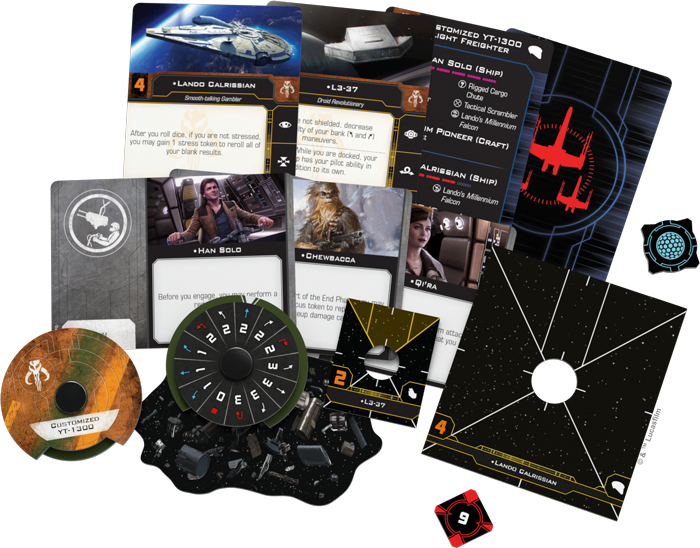 Also includes some looks at a couple examples from the new damage deck at the end - and they highlight some of their main drivers for the change to the damage deck, which were that there shouldn't be any "freebies" in the damage deck (e.g., Munitions Failures against ships lacking secondary weapons or Injured Pilot against a generic ship) and that the cards should offer interesting choices rather than just completely shut something down (e.g., Blinded Pilot is bad because it takes away the fun of rolling the dice; reduction in Direct Hits; addition of Fuel Leak, which is a "Direct Hit in Waiting" that you can gamble on). Adaptive Ailerons is a "must". It's balanced around that. I guess you could call it a nerf. I feel like they should be taken separately since 2.0 has some pretty specific goals and things to say about maneuverability. Having no white hards is painful. 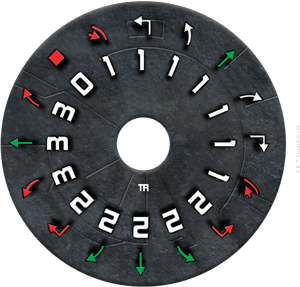 The 1.0 dial can pull 135 degrees of turn without stress. I imagine they are trying to differentiate it more from the Striker in 2.0.